Concrete Mixer For Bridge Construction are strong well-engineered piece of construction equipment which is meant for carrying mixing mortar from batch plant directly to the place where it is to be poured. Nos of Pneumatic Tyres 4 Nos. 4 Nos. Mechanical Jack 4 Nos. 4 Nos. Compact design for easy transportation. Rotation of the concrete drum, reversed is auctioned by push on the electric control panel. The machine design rationalized for easily manor able mixer requiring very less maintenance. 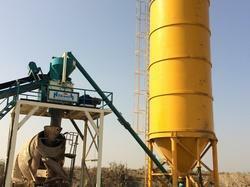 Mixer operation is very silent & with clean surrounding.